Day 1: Kigali City tour and transportation to the Volcanoes National park. On your arrival at the airport in Kigali, you are received by our guide-driver who will take you for a pleasant tour around the City. While in the city you ought to be startled with the magnificence of Rwanda, the land of a thousand hills. You will also get to visit the local markets, genocide memorial plus the National Museum. Your guide will drive you at a slow pace so as to give you the opportunity to capture moments at close range. 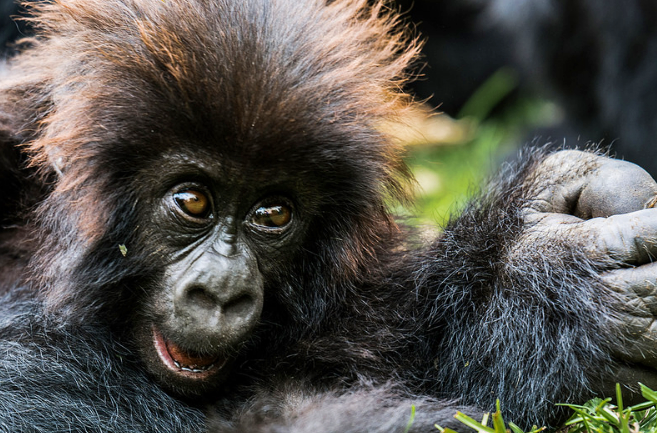 After you’ve had your lunch, you will then proceed to the Volcanoes National Park that is in Ruhengeri which is a habitat to over 360 great mountain gorillas. You are sure to arrive late in the evening. Proceed then to checking into your lodge; some range from budget to the mid-range and luxury facilities, dine and slumber as you get ready to go gorilla tracking the next day. Luxury Accommodation: The Gorillas View Hotel. Moderate Accommodation: The La Palme Hotel. Budget Accommodation: The Muhabura Hotel. After you have had your early breakfast, you will continue to the park headquarters for a briefing about gorilla trekking by the park rangers followed by a hike through the lush jungle in search for the mountain gorillas. Some amount of physical fitness is required during this activity for there are a number of hill climbs involved. The experience is tedious but impressive when you finally face the mountain gorillas. You’ll spend an hour observing these gorilla families as they go about their daily routine activities of; mothers caring for the little ones, the juveniles playing as well as feeding. You are expected to maintain a good distance while you watch them and also to make sure to turn off the flash of your camera as you take photographic images. Gorilla Trekking takes approximately 2 to 8 hours. Right after trekking, you will return to the park headquarters where you will find your driver who will transfer you back to the airport for your departure flight.